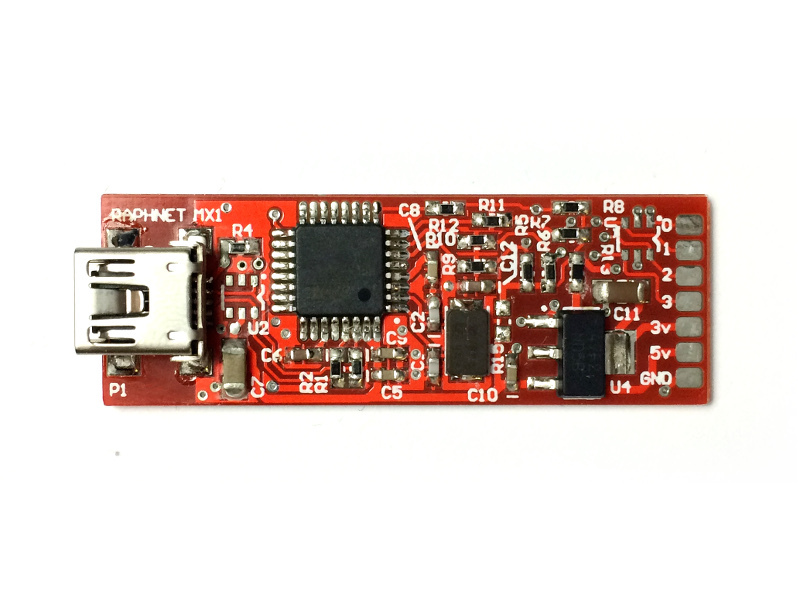 This is a small multi-purpose board featuring an USB micro-controller with a mini-USB connector and 3.3v voltage regulator on-board. While it was designed with Gamecube and N64 controller to USB adapters in mind, it is still ideal for many other applications. What can you build with this board? Have a look to the raphnet.net project page for the soon to be growing list of projects and for technical details and usage tips. Atmel atmega32u2 micro-controller clocked at 16MHz. 3.3v, 5v and GND pads. 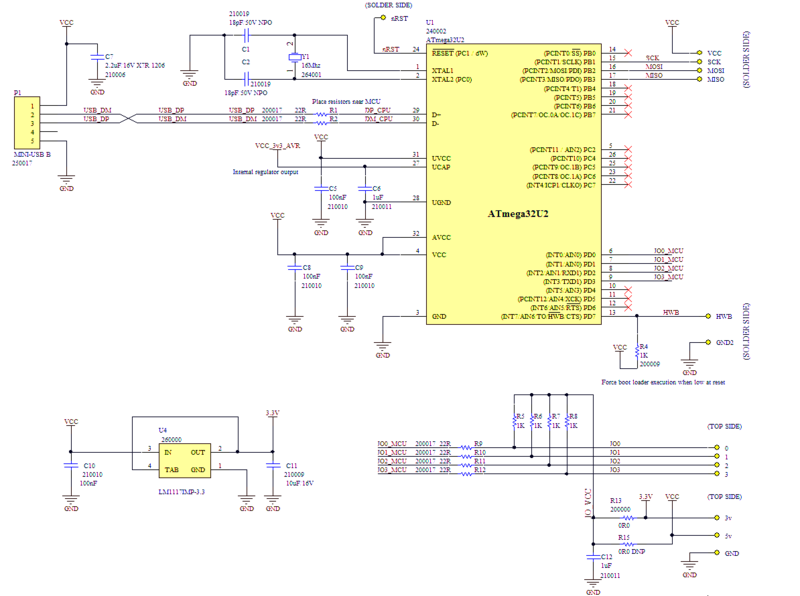 Pre-programmed with Atmel DFU bootloader. 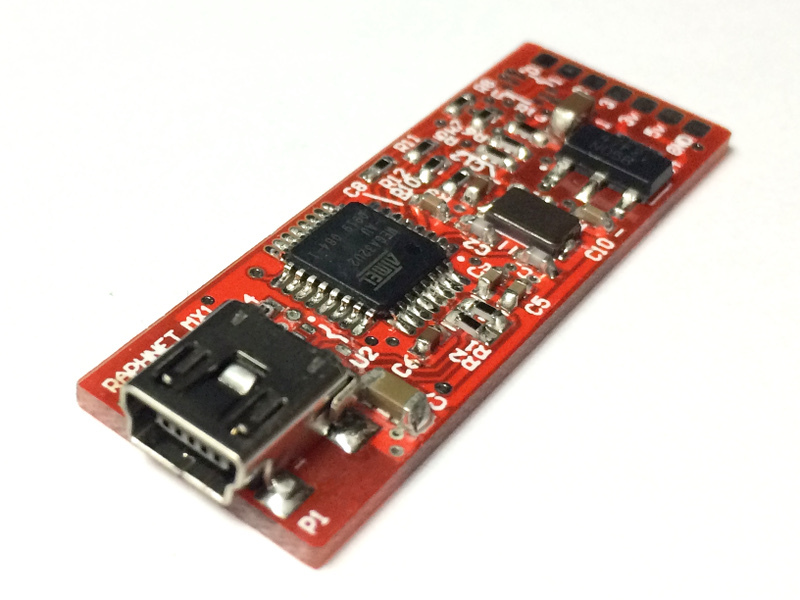 Flash your own firmware through USB without special equipment! Compatible with Dean Camera's LUFA library. 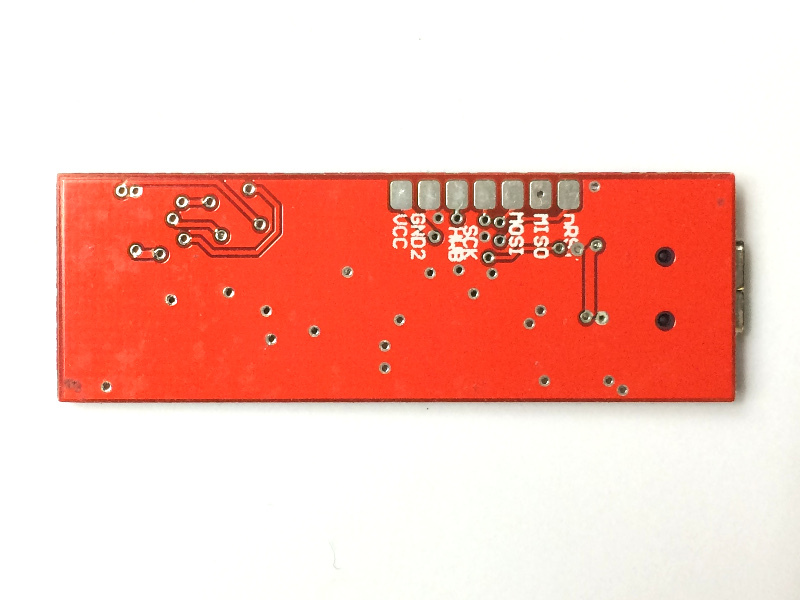 Note: This board is not arduino compatible.